I’m not sure what to think. You travel the world via jet and car. 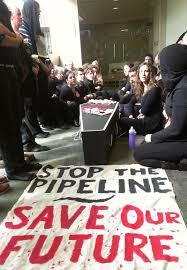 This pipeline is for YOU! I do not judge as I use a car daily. Although, I am poor and rarely travel more than 20 miles from home, most days only 2 miles, but still I depend on oil. Honestly, as long as I am a part of the problem, I find it difficult to condemn the pipeline project.